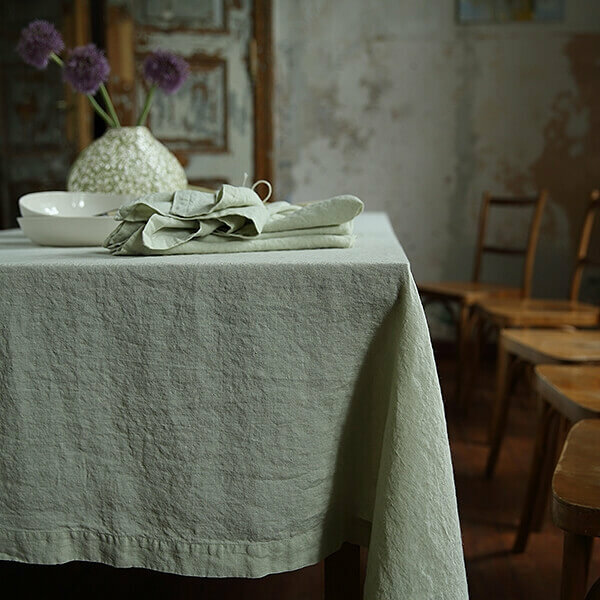 home - blog - Linen for Special Occasions, Table Linen - Table Linen Care: to Iron or not to Iron? Table linens are transformative. They can turn an everyday meal into a memorable affair. Not only decorative, they will also protect your table from spills and scratches and linen napkins will protect your clothing from splashes of red wine. Whether you use table linens every day or just on special occasions, you’ll want to keep them looking their best. Ironing an unwieldy tablecloth or dozens of napkins is probably the last thing you want to deal with when you’re planning a dinner party. Done properly, though, this task doesn’t need to be stressful. On the other hand, ironing is not always crucial. Today, we are sharing a secret with you. A secret for preparing a beautiful holiday table with no stress. This trick for ironing table linens will change your life, since this trick doesn’t even require an iron. All you need to do is lay the tablecloth and other table linens on the table the night before. Sprinkle them with water, smooth out the wrinkles with your hands and leave them to dry through the night. The next day they will be dried and wrinkle free. Yet, if you still decide to iron your table linens, this is what you need to know. 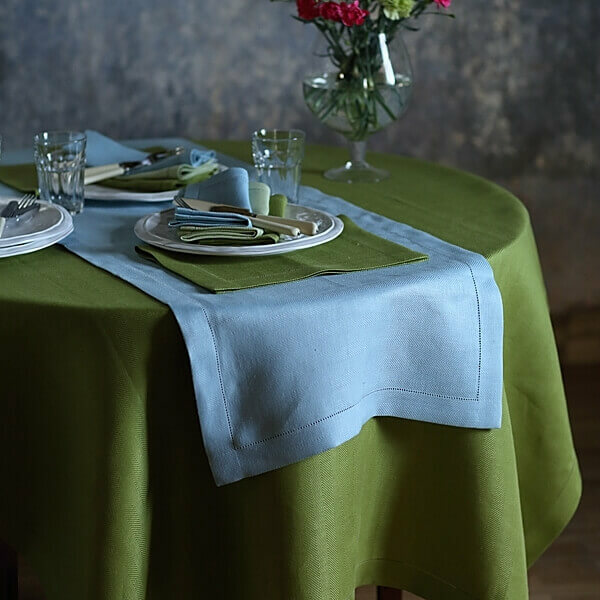 To iron a linen tablecloth, make sure it is damp, but not completely wet. After washing them just hang them on a rack and leave them to air dry until they are damp and ready for ironing. Iron in a back-and-forth motion over the entire length of the cloth, going along with the weave. Storing table linen after ironing is a very important aspect, since linen tablecloths tend to get those pesky square folding lines. One of the best ways to store linen tablecloths after ironing is to gently fold them in thirds and gently hang it across a hanger, so it does not get wrinkles again. Another option is to roll them into tubes rather than folding them. You will need more storing space, but you will have pretty table linens all the time. Would you iron a tablecloth in situ, on the table, to get rid of all creases? We would not recommend ironing in situ on the table, as this process could damage the surface of your table. If your tablecloth is made of linen fabric and you want to get rid of wrinkles the best would be to iron tablecloth whet it is still a bit wet (after washing). all tablecloths in our home are in linen and these tricks are so helpful! Thank you for sharing!